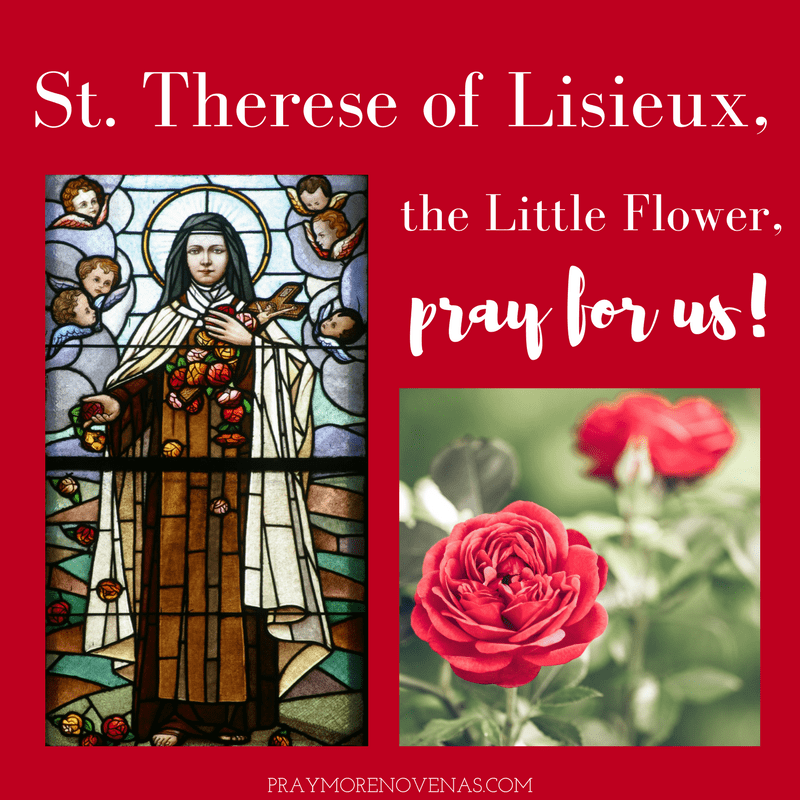 Here’s Day 3 of the St. Therese of Lisieux Novena! For my dad’s friend that he walks around without that much of a limp because he already had a hip replacement. I’ll see him in about 2 weeks to see how he’s doing. Please protect my family from all evil. I pray that I can get rid of all my debt quickly and begin to save money again. So that I can be financially stable again. I feel like things have not been going my way for the past 4 years. Help me be a better person,trust god, believe in myself and make a difference in ppls lives. Open up my path so that I do not have to struggle so much. Also pray for my friends damaris and margaret who both were diagnosed with cancer, let’s pray that both can be strong and overcome it. Pls pray for my nieces and nephew so that they can look for god and walk in a good path. Also that I find a job that I love and that I can help people. Also pray for ad so that she is not in so much pain. Dear saint Thérèse, please intercede in my behalf. You know how broken I am since the death and stillbirth of Gianna Rose. Please sweet and loving saint Thérèse ask God to help us conceive this cycle, but more so if we don’t ask God to give more grace so that I can be at peace with His will. DEAR ST THERESE pleased blessed me help me to be the topnochers of nurse licensure examination on November 17 and 18 2018..Send me your Angel to guide me give me more knowledge and wisdom while I’m reviewing in or for my exam.I trust in you. St Therese please pray for us . That our lives of debts be cleared. That my husband’s be blessed in his business with a good financial support. So he can retire without debts. Help us to overcome our financial problems and recuperate our losses. Bless us with good health and peace at heart. Lead us to a better path so we don’t have to struggle so much. Thank you Lord Amen. Please pray to all my loved one, myself & especially my bf whos suffering right now whatever his at now. Guide him to be strong, have faith in the lord, never give up on the faith to the lord, also guide us, protect us from those harming us and danger we dealing right now, mostly the truth to come out, have a peace of life & mind. Thank you for the blessing we had received, continue the blessing we receive. Blessed St There’s please help David and his family as they go through what is a worrying time. I pray that he is cancer free. Bless all my family and in order to help them and my husband please let my Dr give me some help tomorrow to activate me and make me more positive. In the name of the Father.Amen. I pray this Novena for my friend Theresa, who is having a Medical intervention on her throat today! I pray that it will be successful. Thank you and God Bless everyone. Pray for peace especially in the United States that the Lord will use our president for God’s glory and God’s honor. I also pray for the Lord to pick the right Supreme Court Justice and I pray for the end to the confusion that Satan is causing and picking the new Supreme Court Justice. Pray that my daughter may be granted permission to come in the US to live with us. I pray that my family may be blessed spiritually and financially. Morning.. I really enjoy your novenas very much.. I can wait when the days drag for the next day nive s comes out.. I’m so happy that I can say these novenas.. Plz pray for me and my family especially my grandkids.. Ask God to protect them every day.. In SA there are people that are sealing children.. So I ask for protection frm God for my family and my grandchildren.. Thank you and God bless.. I want to give a donation but I would like to pay cash thru the bank is there a bank account that I can pay cash though the bank every month.. That’s the only way I can pay.. Plz let me know and give me the account number I can put it thru.. Many thanks Deborah Lubbe.. Morning.. I really enjoy your novenas very much.. I can wait when the days drag for the next day nive s comes out.. I’m so happy that I can say these novenas.. Plz pray for me and my family especially my grandkids.. Ask God to protect them every day.. In SA there are people that are sealing children.. So I ask for protection frm God for my family and my grandchildren.. Thank you and God bless..